Teral-Aerotech Fans Pvt. Ltd. manufacture a wide range of Air blowers. 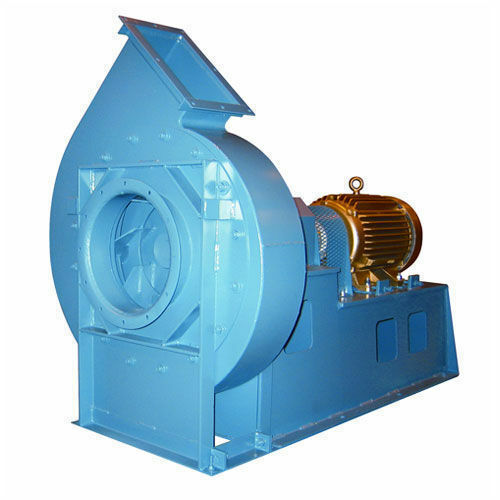 We have a various range of air blowers like as high pressure, low pressure, Direct driven, Belt driven, ID fan & FD fan. In addition to the standard fan designs, Teral-Aerotech Fans Pvt. Ltd. produce bespoke design air blowers to meet the clients specification. The broad range of air blowers designs available means we can manufacture a fan suitable for virtually any application. We at Teral-Aerotech Fans Pvt. Ltd., are amongst the leading exporters, manufacturers and suppliers of this commendable range of Industrial Equipments, ever since our establishment in the year 2003. The range made available by us in the market, comprises the finest Air Handling Equipments, Air Handling Fans and Air Pollution Control Equipment, having a high preference in the market. Making of this range is done in compliance with the set industry norms and guidelines, utilizing the finest raw materials and modern machines. This ensures the product’s performance and longer service life. In addition to this, the range is marked at the most reasonable rate possible. Our exporting countries are Sri Lanka, UAE and Nigeria. Our highly advanced infrastructural facility, laced with all the necessary machinery and equipment, help us in attaining a number of the firm’s predefined goals and objectives. For reasons of attaining smoother and effective management of the firm’s operations, the facility has been parted into several highly operational units. To maximize our reach and increase productivity, the facility undergoes regular up-gradation. In addition to this, the our abidance of industry ethics, norms and guidelines, have helped us generate a huge client base comprising Harig India Ltd, New Holland Tractors (I) Pvt Ltd and VXL Engineers Ltd.